I've been working with Drupal since 4.6 and was somewhat involved in the process of making 4.7. That was about 8 years ago. Here are some truths I've learned in that time. 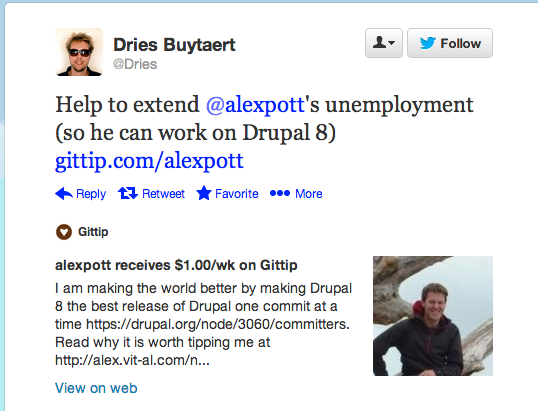 Think about your involvement in Drupal. Did it start at some level, stay at that level, and continue at that same level indefinitely? Probably no. You are somewhere on an arc of involvement. You may be on a mini-arc within a bigger arc. When you first heard of Drupal you didn't immediately jump in and file bug reports and help do usability studies and write documentation. You tried it out. Then you did a little contribution and you liked it (or hated it) but your involvement probably kept increasing for a while. Right now maybe you're headed up or down - maybe you're involvement is decreasing right now because of a big project at work but you know it will increase 2 months from now because your next project will make it easy to contribute to a given module (or core?). Let's look at some real world arcs of involvement. Holy cow. I only recognize 8 of those 13 people, but they are the foundations of Drupal for the first quarter of it's life. Let's look at the next 3 years: 2004 to 2007. 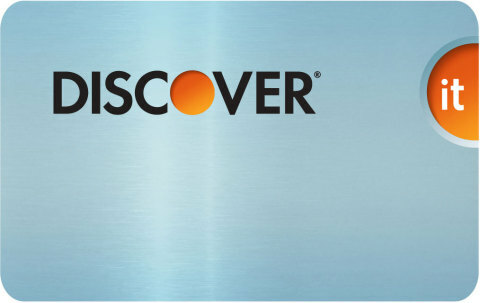 The Discover It card launched late in 2012 (I wrote about it earlier). NerdWallet - Discover It Card Key to Cashback Glory - compares it to US Bank's Cash+ card and the Chase Freedom card and feels that it's competitive with both of those cards...except that Discover's network isn't nearly as broad as the Mastercard/Visa network. You can see at 4 minutes into the video as he shows the card the front is just plain and simple. A very clean design! There are lots of great tutorials out there for how to use drush, but not as many about how to write Drush commands. I periodically dig in and find useful drush functions, but then forget them a month later when I'm writing a new drush command. So, here is a helpful list of Drush-specific functions that will make your life easier. drush_log - note that the second argument is the type of notice and it can be a 'notice' by default or 'warning', 'error', or 'success'. drush_confirm - ask people if they want to do something. Users can override this by adding a "-y"
drush_choice - send the user a list of prompts like the 'drush cc' command presents you a list of caches you might want to clear out. drush_user_abort - break out of a command if a user aborts the operation.